Enhanced capabilities in process automation and artificial intelligence will drive advancements to ERPs in 2018. 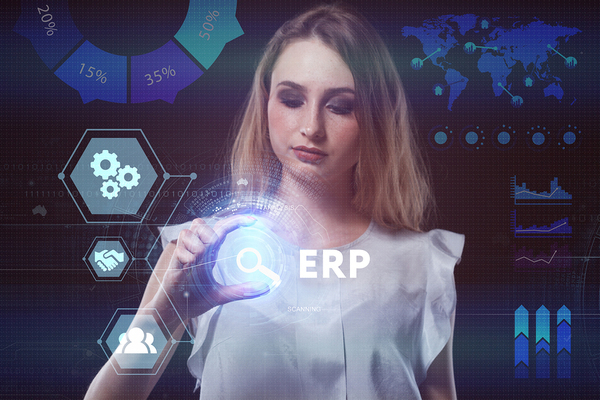 Enterprise resource planning (ERP) platforms help manufacturers bring together disparate systems across the enterprise, providing powerful opportunities to improve processes and drive efficiency. In 2018, the ERP solution for your company may offer improved process automation and enhanced security features using more cloud-based technology. Those features are among the top trends in ERP in 2018. Here is a closer look at a few of the trends that will transform the ERP space this year. Automation continues to transform the U.S. economy, and the manufacturing space continues to drive much of the innovation in this space. Increased automation leads to improved processes across the entire enterprise. Process automation in ERP includes automating business functions that were once done manually, a practice that once led to longer timeframes for completion, higher costs, and greater error rates. Automation tools can be applied to multiple areas of the ERP work, from quality control to inventory management. Consider the example of a streamlined process enhanced by ERP automation that matches invoices to purchased goods, assesses profit margins of new jobs, runs simulations to project delivery times, and manages stock control, all in an integrated process. Automating these calculations and functions requires less dedicated staff time and leads to more accurate projections for sales teams to provide to customers. Workload automation modeling has utility throughout the manufacturing industry, driven by integrated ERP data and production tools. Automation and predictive modeling help companies assess the business outcomes of different activities and better integrate disparate parts of the organization in both production and decision-making. Moving ERP functions to the cloud will continue to be a common occurrence in 2018. The use of cloud ERP services allows companies to react quickly as they grow, scaling up rapidly to deliver applications to employees and customers, and to collect, store, and analyze data for manufacturing. Experts believe that the shift of ERP over the past 18-24 months from on-premises to cloud or hybrid solutions will continue to accelerate in the new year. Many companies that have already moved applications, like human resources management and customer services management, and have seen the efficiencies and cost-savings associated with those moves are realizing that the opportunity exists to move ERP options to that space as well. Placing the ERP in the cloud reduces lag times between applications and helps to improve both analytics and reporting. Why else are business leaders embracing cloud ERP? Simply put, it is because of the speed of business today. Companies want a solution that allows for flexibility as business models evolve. In order to be ahead of the curve and seize new opportunities, executives recognize they need the tools that allow for agile operations, manufacturing, efficiency, cost reduction, and access to technology that cloud-based ERP systems allow. While there is still some short-term pain in migrating legacy systems to the cloud, the benefits of potential opportunity cost far outweigh the downsides. The advances in hybrid cloud ERP solutions also provides business leaders with peace of mind. Though some manufacturers may still need core data and functionality to remain on-premises due to regulatory or security concerns, cloud and ERP improvements mean that latency and security concerns have been addressed across the ERP marketplace. ERP growth in 2018 will focus on security enhancements and machine learning. Artificial intelligence is poised to make major changes to the way ERP systems function in 2018. These technologies will enable more self-sufficiency in the ERP space and less reliance on human interactions. AI can provide enhanced customer service functionality that collates, interprets, and provides answers to customer questions quickly, driven by vast databases of previous queries. These AI-generated answers can be used to save on human customer service staffing and to provide the first line of inquiry that can answer many common questions. Chatbots can be used to mine data in the moment of an interaction with a customer. Chatbots can access data quickly and provide that information to customer service reps and customers. Chatbots can mine backend databases and more rapidly pull relevant data to accelerate solutions and resolutions. Dynamic workflows are changing based on new AI technologies. ERP systems can now analyze the way users access and interact with the systems and use that information to recommend changes to processes that optimize the ERP functionality. ERP systems can sense these usage patterns and create automated actions to save time and even reconfigure interfaces to best suit a user’s common usage patterns. Augmented field service allows for technicians and other field employees to use virtual reality tools that interact with the ERP and data contained therein to provide insights and solve problems. Virtual reality, chatbots, and smart devices will interact in new ways to help ERP provide more value to companies, employees, and customers alike. For example, augmented reality and digital assistants could help maintenance technicians diagnose and correct maintenance issues via real-time access to maintenance histories, design specs, virtual immersive diagrams, technical documents, and performance history. Deeper analytics are possible as ERP systems leverage massive amounts of data provided by connected parts and machines. Analytics programs embedded in ERPs can collect, tabulate, and display this information in real time, allowing for better understanding and decision-making. Employees will be able to pinpoint and respond to trends provided by the intelligent display of this information in real time. Instead of relying on teams of data scientists to pore through data and find opportunities, the ERPs themselves will deliver those insights. Smart performance monitoring and analytics will come to bear as human resources functions within ERP systems deliver new analysis of employee performance, from a deeper analysis of sales territories to correlating performance evaluations with demographics and retention rates. Armed with more information and analysis, HR teams and managers can help coach employees for better performance and productivity. Those insights will be informed by other data stored in the ERP about customers, machines, comparative performance standards, production, and profit centers. ERPs began by integrating disparate systems, often from legacy systems that had little to no interaction with other applications and tools. 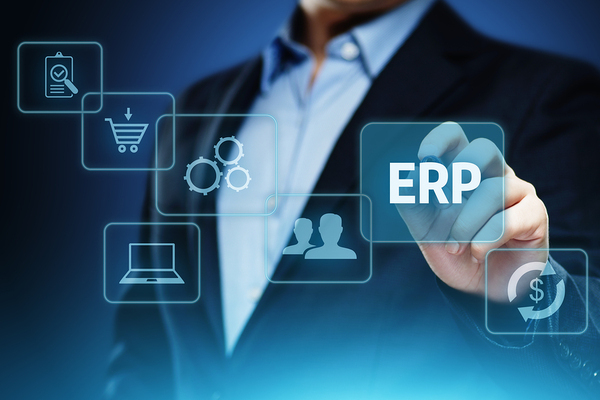 ERP has brought together back-office functions such as finance and human resources, operational areas such as manufacturing, inventory, and transportation, and customer-facing operations such as sales, marketing, and customer service. Now, 2018 is poised to see the introduction of a new slate of services that will help companies leverage the new-found synergies that ERP provides. ERP systems allow companies, for example, to introduce new lines of business related the data and services associated with products, not just the products themselves. Companies can use ERP information to provide customers and consumers with commoditized products and services that enhance and complement the products they purchase. ERP vendors are looking at creating additional enhancements that do more than bring together software systems. By mobilizing the capabilities and insights, companies will find new market opportunities, new business models, and new revenue streams. For global manufacturers, ERPs in 2018 are poised to help create new opportunities and efficiencies throughout the global supply chain. Cloud ERP systems, in particular, help supply chain partners sync and share data and offer insights that improve efficiency, pricing, and profits. Multiple locations and partners can now access the same data simultaneously to collaborate and make better decisions in less time. ERPs allow for the integration of business processes among global partners too, playing to strengths and enabling integrated business processes across country borders. Providers understand that as more functions and data move to ERP spaces in cloud and hybrid environments, there is a growing need to firm up security protections. One survey showed that 89 percent of respondents predict the number of cyberattacks on ERP systems to increase in the next 12 months. With proprietary intellectual property and consumer data contained in ERP systems, the need for robust security measures will likely grow in 2018. With more functions moving to ERP, the need for better user interfaces is critical for companies wanting to leverage the capabilities of these systems. Providing intuitive, customizable, and easy-to-use user interfaces lead to better rates of system adoption and buy-in. Configurability is an important need for ERPs to serve disparate employee populations with different roles and needs. In-memory computing allows for data to be stored, not on disk-based databases, but within random access memory (RAM). This storage shift allows information to be accessed and used more quickly and by more users simultaneously. At NexTec Group, we help companies develop the systems that maximize their operational capacity with efficiency and reduced costs. Working with the top ERP manufacturers, our experienced teams of consultants understand the nuanced products and features of ERP systems, along with a clear idea of the development priorities and schedules of new features. When you choose NexTec Group as a trusted partner, we will work closely with key stakeholders to understand ERP needs and capabilities and will help guide the evaluation, selection, and implementation of ERP products that best suit each client. Download the NexTec Corporate Brochure to learn more about NexTec Group and how it can help your company best leverage ERP in 2018.